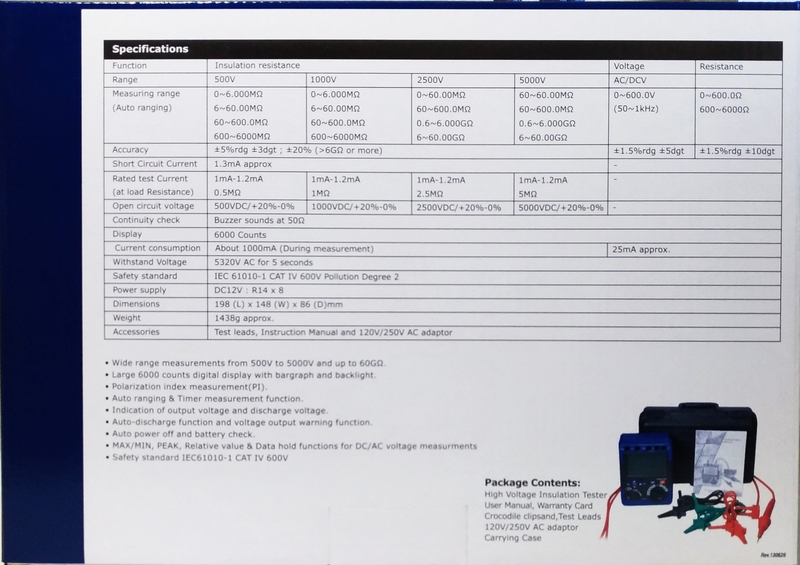 This is a brand new CEM DT-6605 from Ruby Electronics. 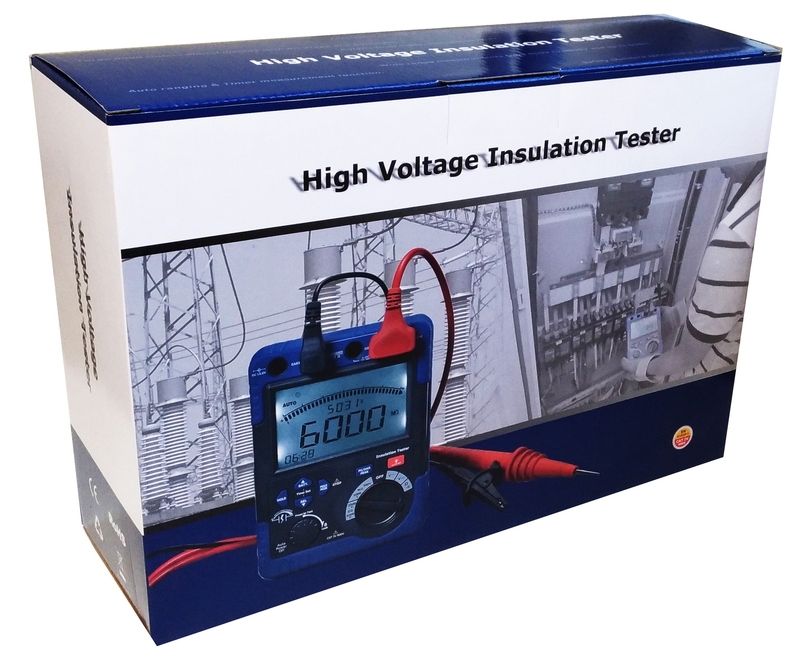 This digital insulation tester is certified. 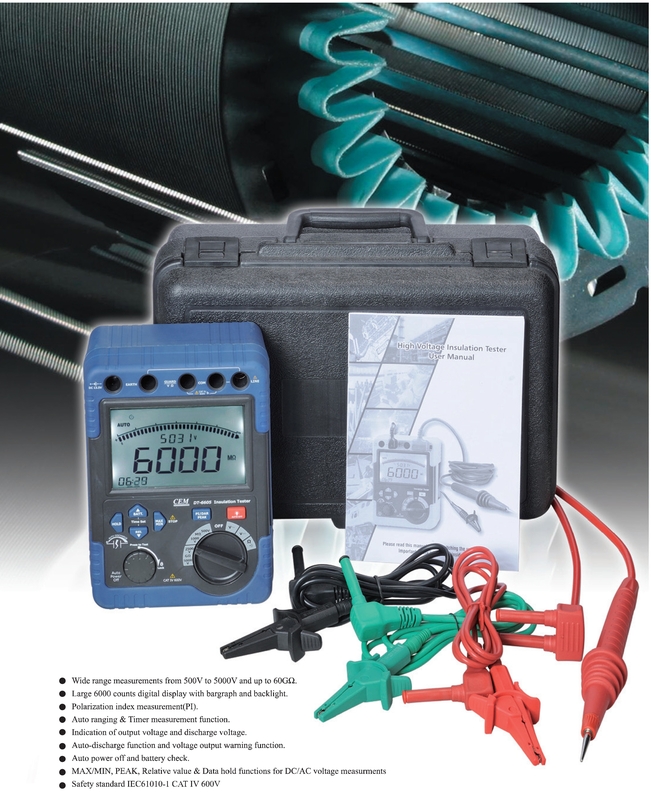 This top-of-the-line device provides 500V, 1000V, 2500V and 5000V voltage during the test cycle. 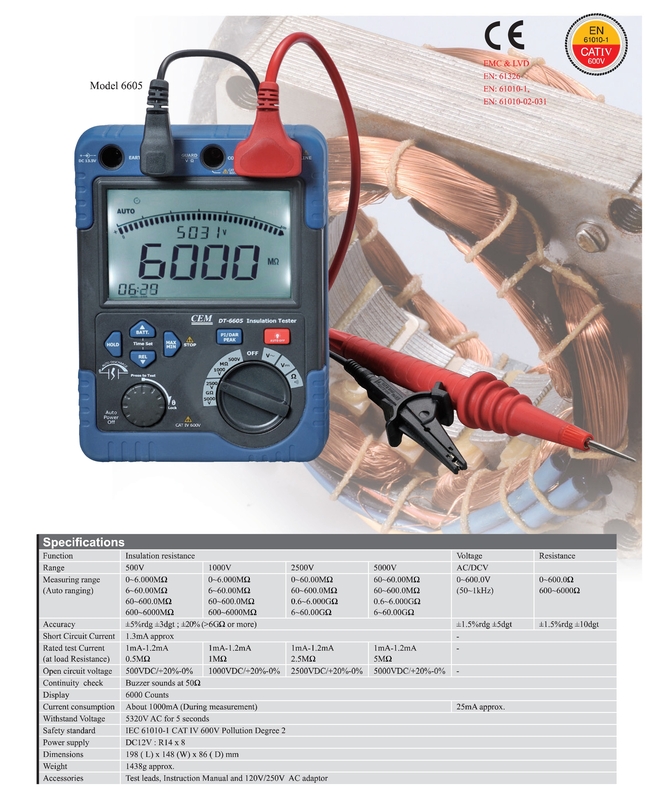 It sources up to 1.2mA current during the test to offset the capacitance load. 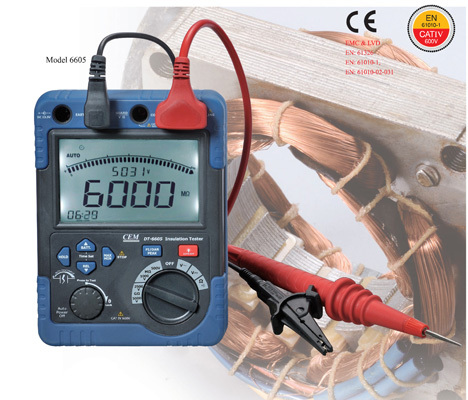 With the auto range function, it can measure up to 60 Giga Ohm with the resolution of 10 mega ohm. The back light LCD screen allows you read easily in the dark. 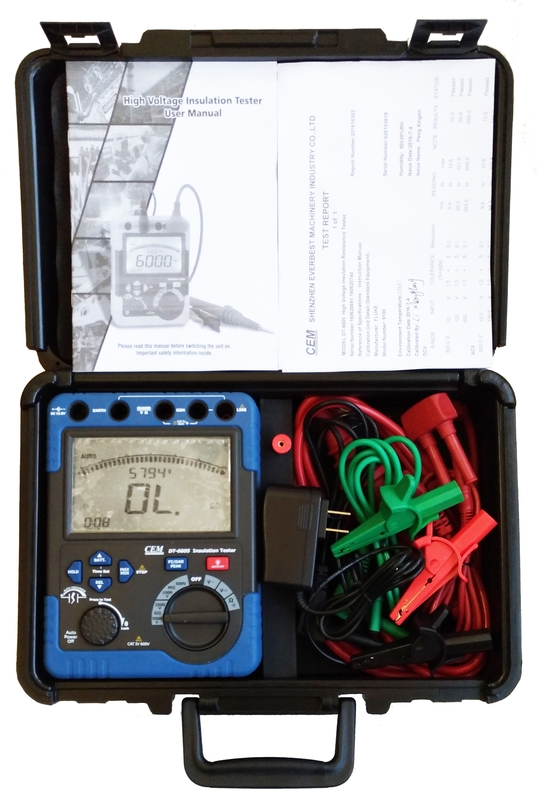 It also comes with a heavy duty carrying case to protect your device when working in the field. The actual color of the unit maybe different from the photo shown. please contact seller if you need to know the exact color of the unit.